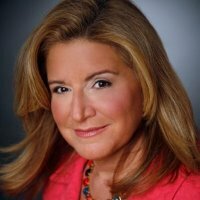 Susan Hirshman, CFA, CFP®, CDFA™ is a financial advisor with Morgan Stanley Wealth Management. She previously was a Managing Director at JP Morgan and a CPA with KPMG’s personal financial planning group. In 2010, she authored the book,Does this Make My Assets Look Fat, a women’s guide to finding financial empowerment and success (St. Martin’s Press). She has been a frequent speaker at wealth management conferences throughout the country, and her insights have appeared in such venues as The Wall Street Journal, NY Times, Forbes, CNN, CNBC, FOX and ABC. She also serves on the board of Certified Financial Planning Board of Standards and Ethics, which governs the CFP® professional designation. Ms. Hirshman holds a Master’s in Taxation from Baruch College, as well as a Bachelor’s degree from Buffalo University.